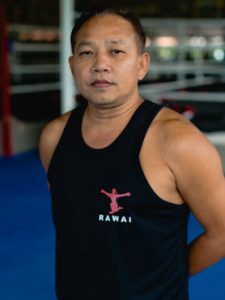 The Rawai Muay Thai trainers are some of the best Thai boxing teachers in Thailand. Firstly they have years of experience in fighting and teaching to people of from all over the world. Secondly, they are open to teaching everyone, not just fighters. 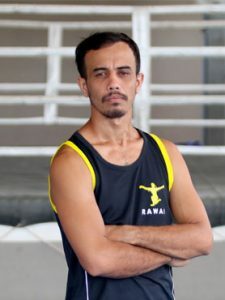 Above all our team of dedicated trainers is what makes Rawai Muay Thai special and differentiates us from the rest. 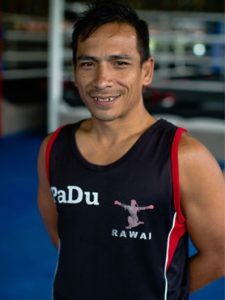 Rawai Muay Thai currently has 15 trainers. 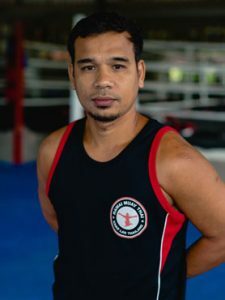 The word for trainer or teacher in Thai is “kru”. So our students refer to them are Krus. 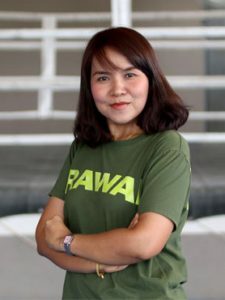 The head of the team and owner of the camp is Tuk Rawai. 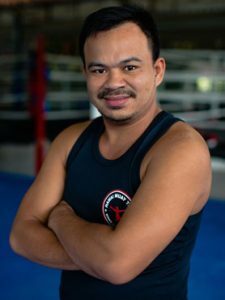 His fighting name is Sakeddao Sor Ayupinda. He fought professionally for 12 years and has been teaching for more than 15 years. He was born into poverty, in the small pier town of Thap Lamu, near where the gym is now. The story goes that his mother, on her way to the hospital, gave birth to him in the tuk tuk, and that’s why they call him Tuk. He is the oldest of 4 brothers, all boxers. 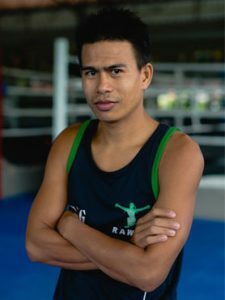 He was sent at an early age, to fight in Bangkok and make money to help support the family. 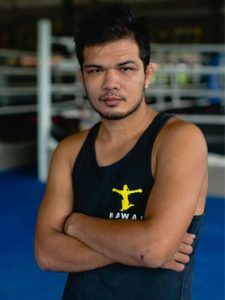 Like wise, Kru Fin also fought professionally in Bangkok and all over Thailand. He is now the head trainer in the gym. 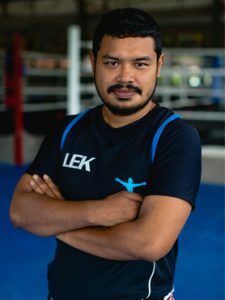 The rest of our Muay Thai trainers include tournament winners and Lumpini and Rajadamnern Stadium Champions, some of whom have more than one belt. 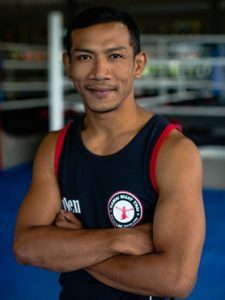 One of these champions is Chanchai Sor Tumarangsi who has won pretty much every belt there is to win in Thailand. We are lucky to have him as part of our team. not only has he won a lot of belts but he is master of Muay Boran, the ancient style of Muay Thai. 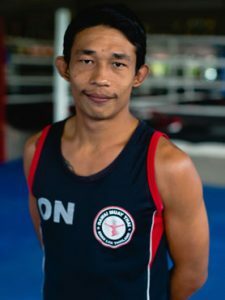 Along with Chanchai we have more Muay Boran specialists in the gym. 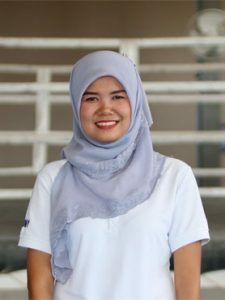 For example, trainers Soleh and Padu have experience performing the ancient style of Muay Thai along with their special Wai Krus. In fact, they have performed Muay Boran exhibitions all around the country. 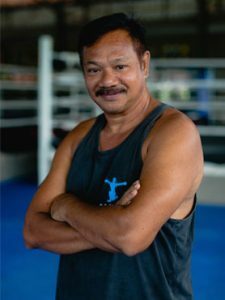 One of our oldest teachers is Kru Boon. 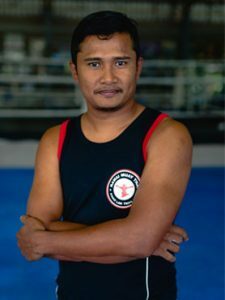 He was one of Tuk’s teachers in Bangkok when he first went to fight there as a young boy. Kru Boon has trained many fighters to become champions and when Tuk opened his gym in 2003 he invited his old teacher to join us. 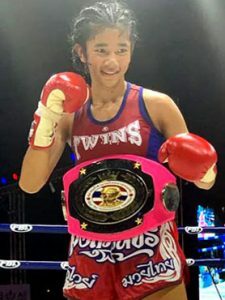 Another trainer, Kru Dam, recently won the South Thailand Belt at 135 Lbs, and still fights on occasion. 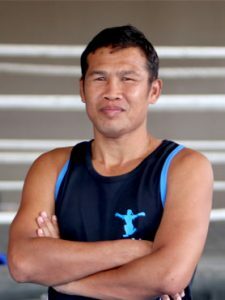 One of our newest members is Kru Jum, who won belts in Lumpini Stadium, the dream of most Thai boxers. 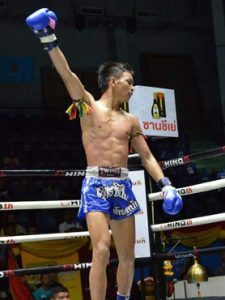 Rawai Muay Thai has sponsored fighters who live and train in the gym. Some of these youngsters have been with us for years, since they were little kids. Growing up in a gym is hard work but builds character. These kids have learned the value of sacrifice and have dedicated themselves to their sport. Some have gone far, winning titles and belts. Fighting in the big stage in front of many people, on TV and abroad. We are very proud of all the fighters who have been part of our gym since 2003. 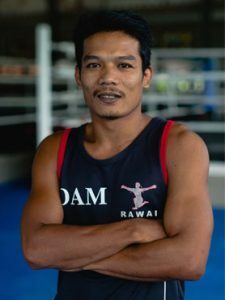 Rawai Muay Thai has fighters who live and train in the camp. They fight regularly all around the country, sometimes even traveling abroad to compete. You can keep up to date with their fight results in here. Most of the kids who come to the gym are disadvantaged youth, whose families can’t take care of them. We admit all kids who show interest and the ones who stay are the ones who can do the program. The gym pays for their life expenses, including, housing, school, food, health, travel and training. Some of the children have been with us for years and have become good fighters. Training Muay Thai teaches them the values of hard work, respect and fair play which will help them to build better lives. 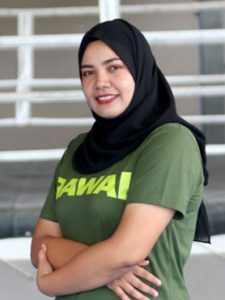 If you want to make a contribution to the Rawai Fighter’s program please contact us. The rest of the family includes the staff in the gym office and shop, the restaurant, the cleaners and the handymen. Everyone working together to make the camp work. It’s truly a group effort. 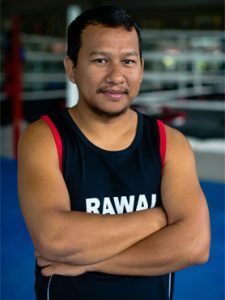 Watch a video of two of our sponsored fighters below: Tepwarit and Madsing.